Does this sound familiar? 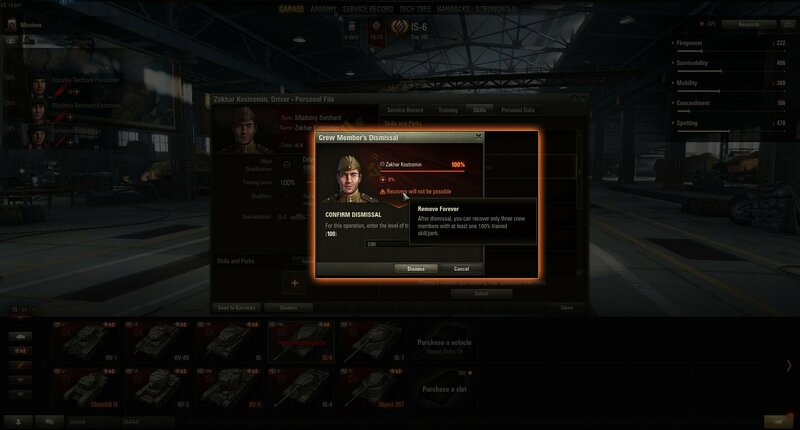 You sold a Premium tank, soon regretted it, then submitted a ticket and waited however many days to get it back. If you've been through it before, now you’re in luck! We’ve heard you and are working on a feature to make your seller's remorse quickly reversible. 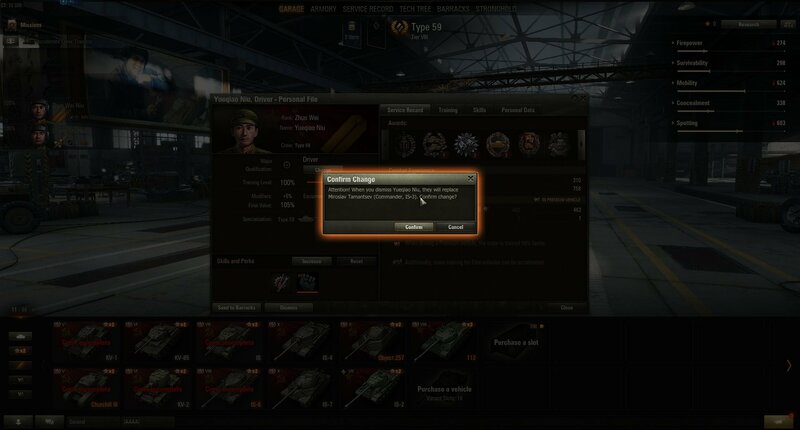 In Update 9.16, you won’t need to contact the Customer Service Center to reclaim accidently-sold tanks and dismissed Crewmembers. 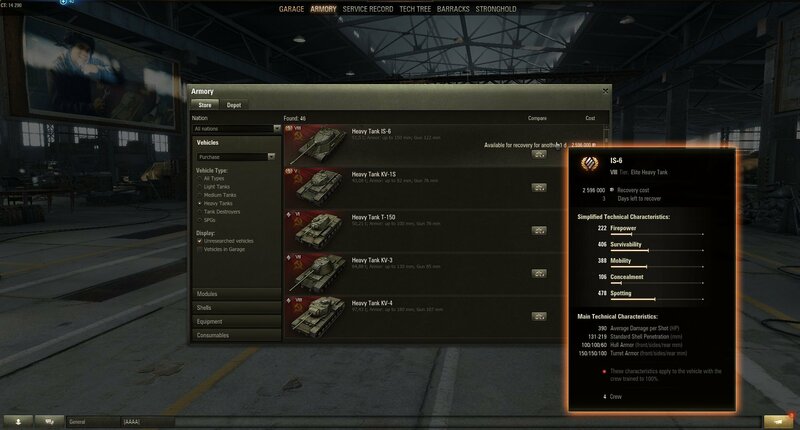 Actually, you won’t even have to close the game client to fix the mistake: just a few clicks right in the Garage is all it takes to return a precious vehicle or Crewmember to you with their combat statistics, medals, Skills and Perks. Work on the update is in its final stages of testing and bug squashing, we’d like to give you a heads-up on the hows, whats and wheres of this new feature. First off, let’s talk about the content you can recover. 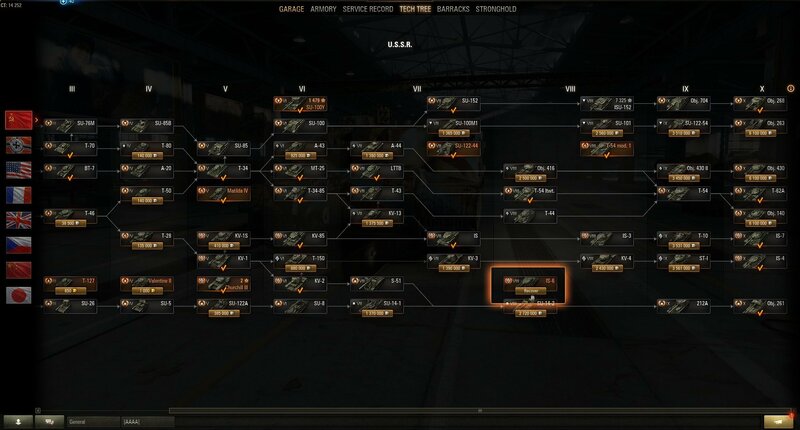 If you purchased a Premium tank with 10,000 Gold, then sold it for 10,000×400=4,000,000 Credits, recovering it will cost you 4,000,000 + (4,000,000×0.1) = 4,400,000 Credits. This formula is permanent. Special offers and discounts do not apply. 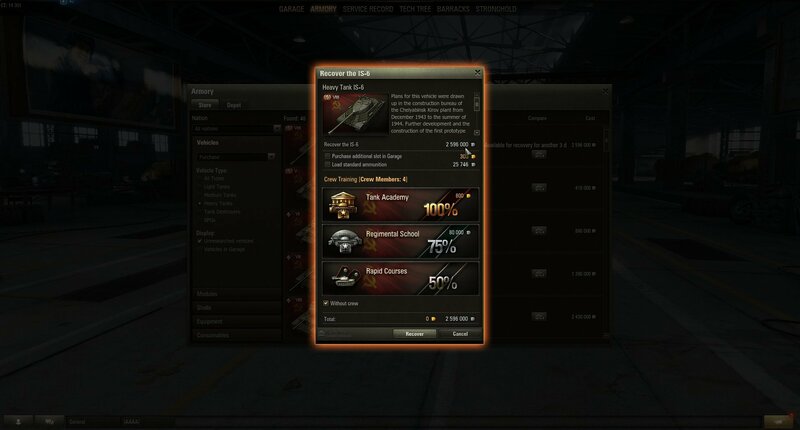 If you don’t have the required Credits, but have enough Gold to buy the needed amount of Credits, you’ll be offered a chance to convert them. 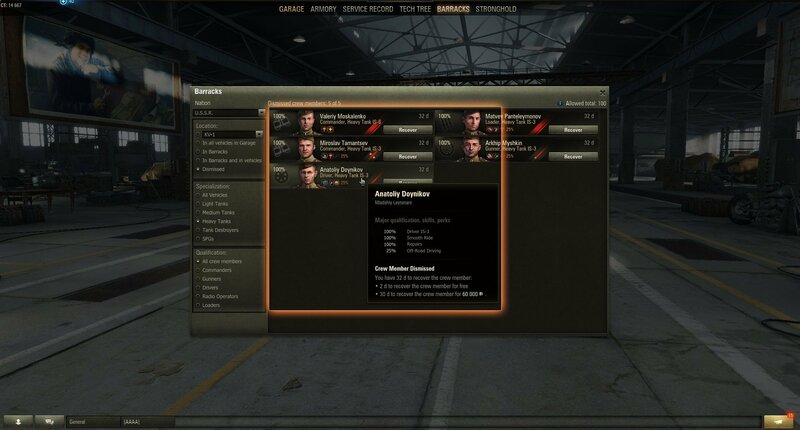 When recovering a vehicle via the Tech Tree, right-click and select “Recover the vehicle." You'll then see the buyback cost and the timer for how much longer the recovery will be available. 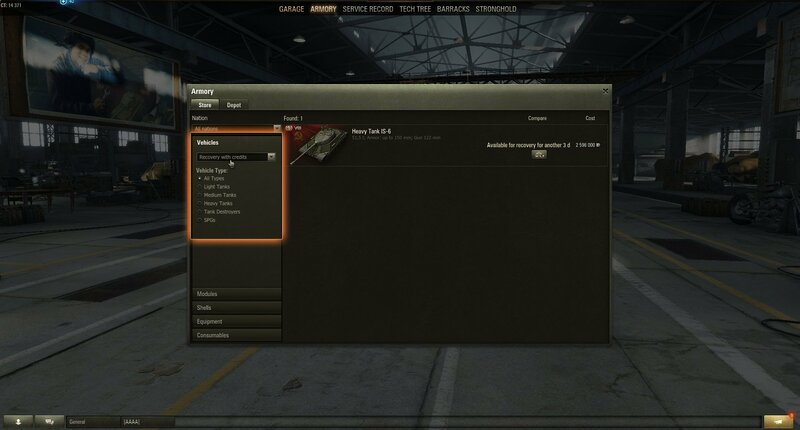 If you don’t have enough Credits, you’ll see a notification at the bottom and the Credits you lack in brackets right next to “Recover the vehicle." Once you have everything you need, simply click “Recover” and confirm the action to send the vehicle back to your Garage. If you prefer to recover via the Store, start by choosing “Recover with Credits” in the drop-down menu on the “Vehicles” tab, and choose the vehicle types to build a selection. A list of available vehicles will appear with their buyback costs and recovery periods. Clicking one will transfer you to the vehicle window where you can reclaim the vehicle. Starting with 9.16, every time you choose to dismiss a Crewmember you’ll be informed whether they can be recovered or not if dismissed. 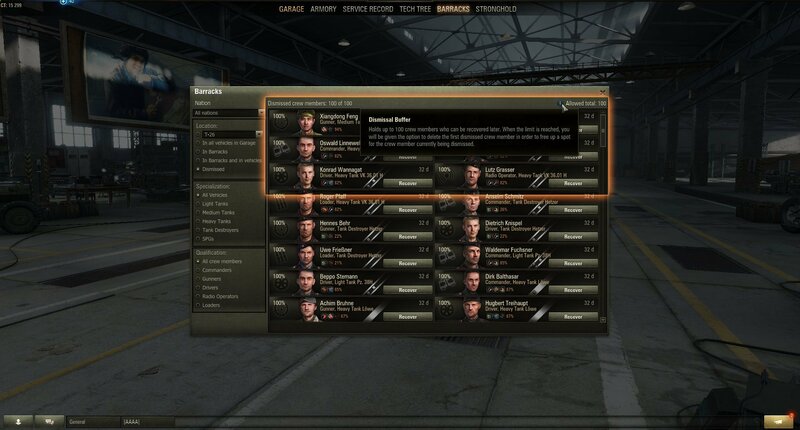 Recover dismissed Crewmembers through the “Dismissed” checkbox in the Barracks. Hovering the cursor over a specific member will open their personal record with their recovery period and cost. To get the Crewmember back into action, click “Recover” and confirm this action in the pop-up window. The Dismissed list maxes out at 100 Crewmembers. When it’s full and you’re about to send another Crewmember there, you will receive a notification that they will replace whomever has been there the longest. 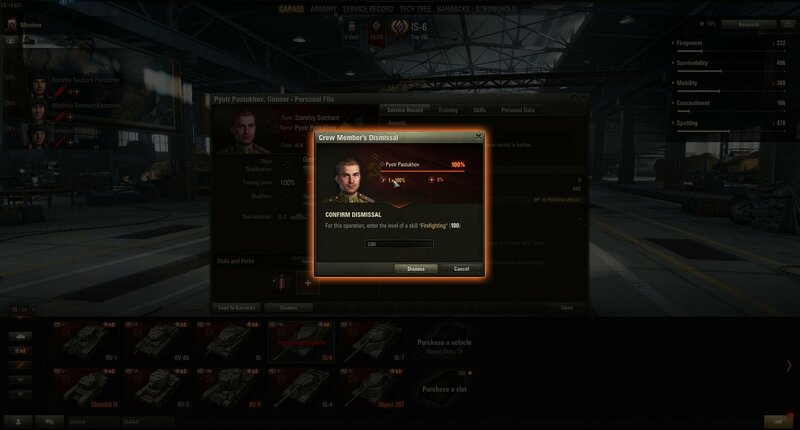 Once restored, Crewmembers are not assigned to a certain tank. 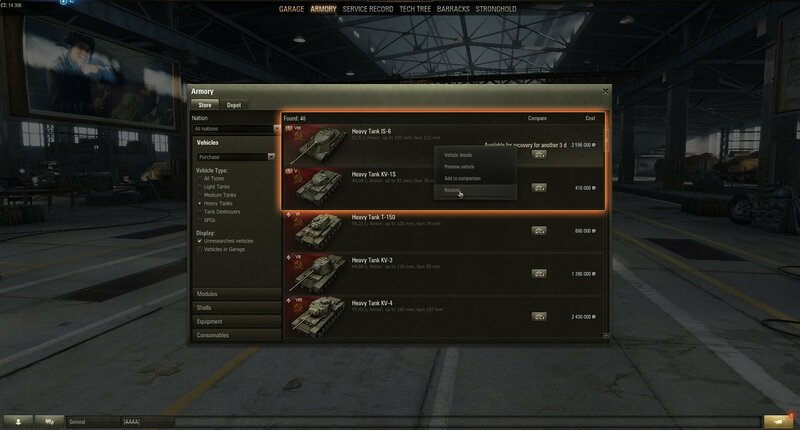 Bu this can be fixed in no time: just play at least one battle with the Crew you want, and the settings will be back to what you’re used to. Moving forward, we will continue to polish this feature based on your comments. Be sure to leave your feedback in this dedicated forum thread, and stay tuned for more updates. And in case you haven’t checked out Update 9.16 yet, join the Public Test as there is much more than this feature to discover.